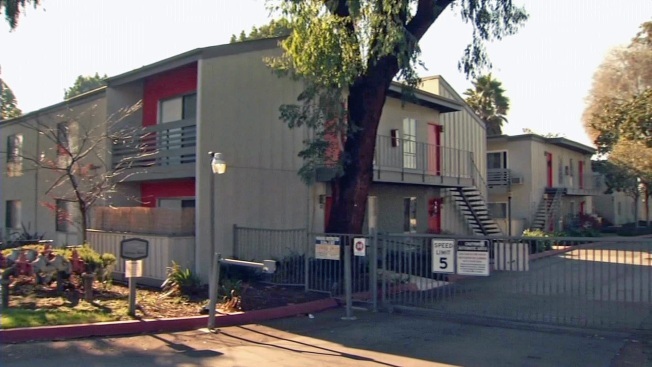 It's a bleak holiday season for renters at a huge San Jose apartment complex. They're facing eviction so their rent-controlled units can be replaced by luxury units. Tenants at The Reserve apartments have known since March they were going to be forced out and have been fighting for compensation. Now, the official eviction notices have been issued less than a week before Christmas, and many tenants say it's a brutal, emotional experience, especially during the holidays. Jeremy and Destiny Naves have lived at The Reserve for six years. Like most of the tenants in the 216-unit complex, they've recently received an eviction notice. "It's very hard, really weird trying to get through the holidays," Destiny Naves said. "It's tough to even put up decorations when you're leaving the place. You don't know what to buy." Jeremy Naves said the couple probably will start looking at new places to live in January. "I think what we've been looking at, my wife and I, it's been about $1,000 to $1,200 a month increase in just the rents we'd be paying," Jeremy Naves said. Community organizers are trying to help tenants get financial compensation from the city. San Jose's urban planning opened the door for rent controlled complexes to convert to market-rate rentals and had no contingency plan for displaced tenants. Organizers also decried the eviction process, saying tenants were notified by registered mail. "You force tenants to go down to the post office at Christmastime," said Shaunn Cartwright of the South Bay Tenants Union. "So tenants have gone there and had to stand in line as long as 90 minutes, only to pick up their eviction notices. "There needs to be something to help compensate, to help people who have less means in order to survive," Cartwright added. Back in March, the situation at The Reserve prompted the City Council to consider a policy to help displaced tenants, but no such policy ever was adopted. Community organizers say they will force the issue again, only this time with the new City Council in place next month.